Did I mention that Summer is late in arriving this year? It feels so very cold this morning – the apparent temperature at midday was less than one degree Celsius – and it is raining too. 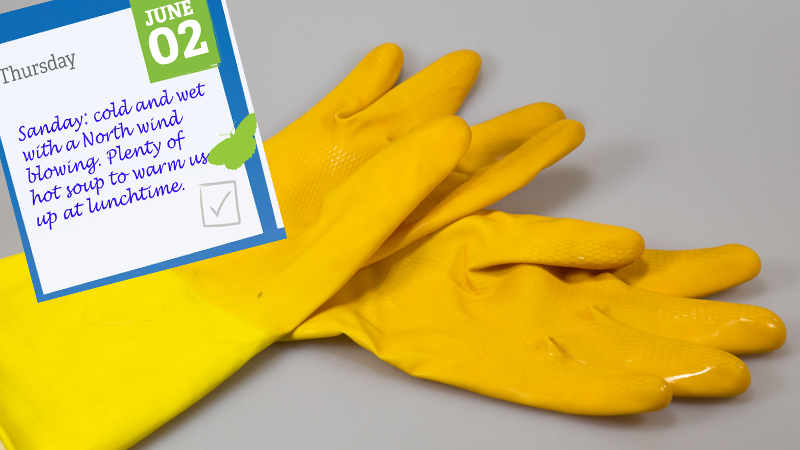 Today’s activities require the use of a pair of rubber gloves. Whatever can I be up to! 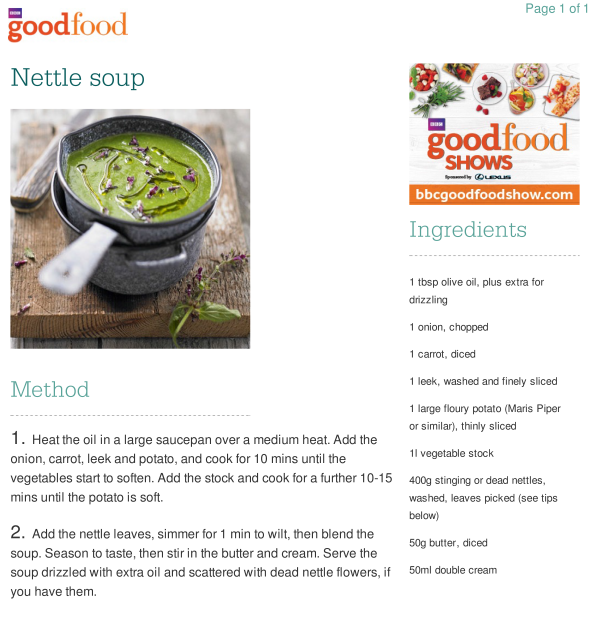 Today we made Nettle Soup. As previously mentioned, the season is late this year and thus we have some patches of nettles that are not yet too well grown. I picked some of those to experiment with. The buds are just starting to form and these nettles have therefore gone past the point of culinary excellence but I had every hope of producing an acceptable result. The remainder of our nettles, the vast majority, are well budded and close to flowering. I might have found younger and more tender nettles, just sprouting, had I the patience to stay and burrow around but the cold North wind was driving the drizzle and it was seeping in to every available nook and cranny. Not only that but my carrier bag of nettles kept blowing away. As far as I am concerned, that was my fifteen minutes in the wild for today and I am in no hurry to venture forth again! nettles: nature’s well-armoured but plentiful offering at this otherwise rather sparse time of year. 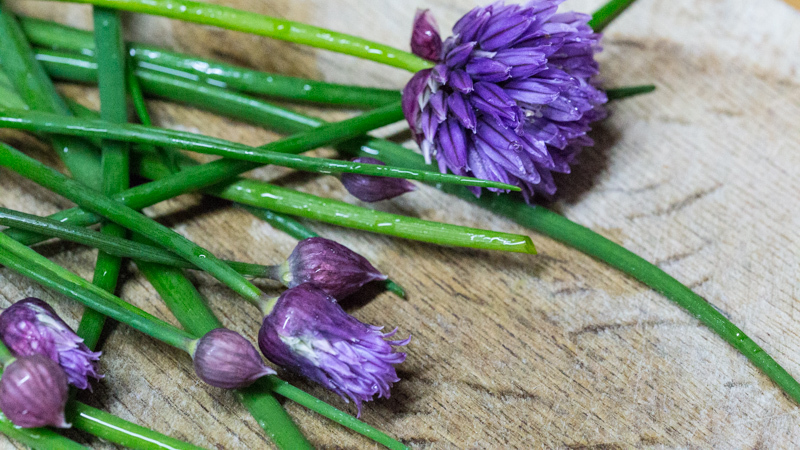 Barbed and bristled and undeniably stingy as they are, these plants are nevertheless a gift to anyone who favours cooking with local, seasonal, fresh ingredients. They thrust themselves up from the barely warm ground as early as February (nettle soup on Valentine’s Day is a tradition in our house), then grow with untrammelled enthusiasm (as all gardeners know) right through the spring and summer. 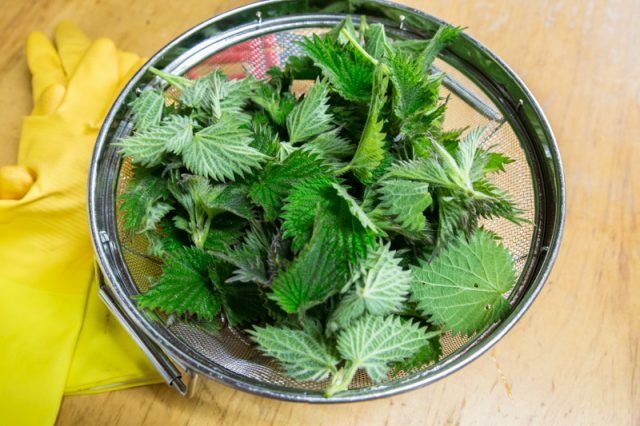 Now is the time to bag them though: if you’re going to eat nettles (and I totally think you should), then the fresh, young growth of March and April is the crop to go for. Pick only the tips – the first four or six leaves on each spear – and you will get the very best of the plant. 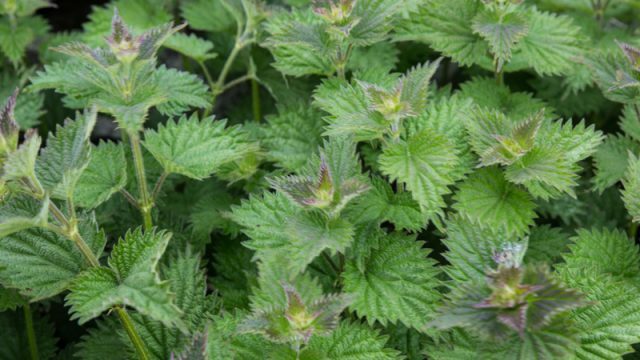 By late April, nettles are starting to become coarse and hoary, and you should not eat them once they begin to form flowers. 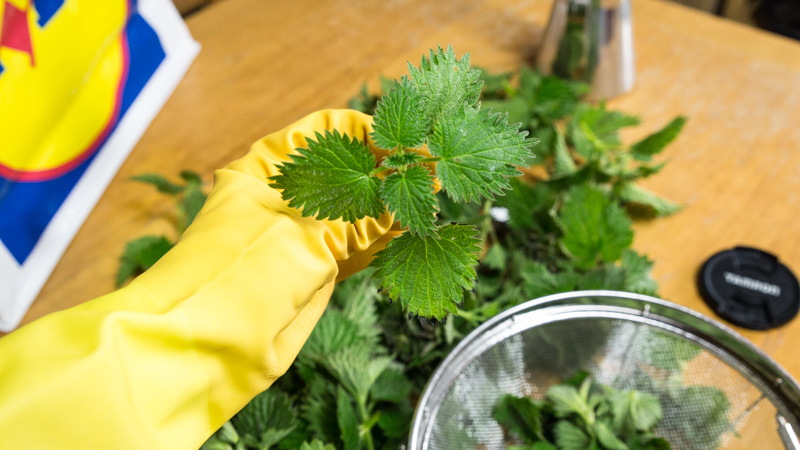 Keep your eye out throughout the late summer and autumn, though, because young crops of freshly seeded nettles will grow wherever and whenever they get a chance. And, tiresome as nettle-control may be for the gardener, the strimmer is the nettle gourmet’s friend: nettles that have been mown down will reliably put up a burst of fresh growth. I’ve had a long love affair with Urtica dioica, and it shows no sign of abating. Not only does this plant taste good, but you can almost feel it doing you good as you eat it. Particularly rich in vitamin C and iron, a tea made by steeping nettle leaves has long been a tonic. But I prefer to eat the leaves themselves. The flavour is irrefutably “green”, somewhere between spinach, cabbage and broccoli, with a unique hint of nettliness: a sort of slight, earthy tingle in the mouth. If you like your greens, you’ll like nettles, I promise you. Use them in any of the ways you might employ spinach: just wilted and buttered as a simple side dish, or added to anything from soup to gnocchi, or even in a nettly version of Indian saag paneer. All dates are shifted up here in Orkney, and as I said, shifted further this year. 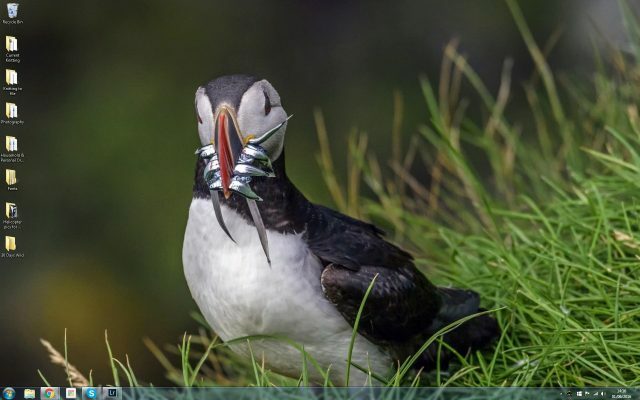 Photo and caption by Peter Allinson : A puffin returns from a fishing expedition with a good catch. This photograph was taken in Iceland but there are Puffins on Orkney, even sometimes on Sanday. I have not been fortunate enough to find nesting birds on the island but I have been treated to sight of Puffins on the sea when journeying by ferry to Kirkwall. I should like to see more! So wet and windy this morning that no birds were about when I was dressing, though at 3 a.m. something was singing beautifully. I do not know what; not the garden Wren that lives in our stone dykes, nor either of the Blackbird pair that nests in our rhubarb. Something else. I shall listen to some audio files later and see if I might identify it. A wild and woolly day indeed and every need for a bowl of warming soup, especially after being out in the wind and rain (note that Apparent Temperature today!) to seek the most tender shoots of nettles on the Windswept Acre. 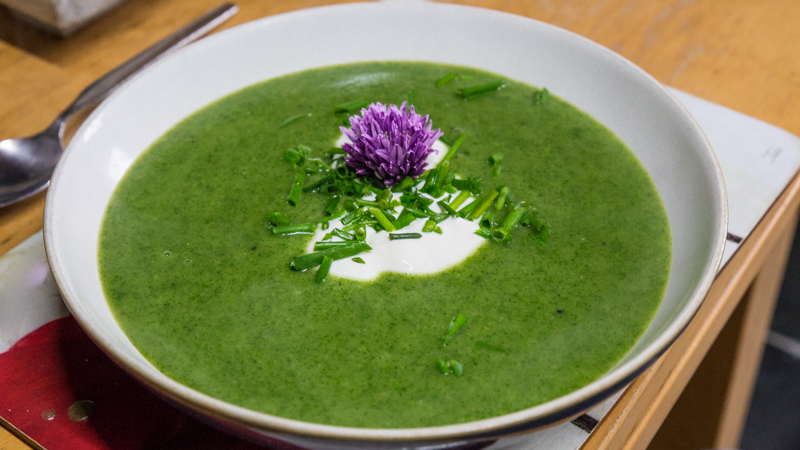 Nettle Soup is easy to make and is basically a variant of my normal “Green Soup” recipe: Onion for flavour, potato for body, greens for goodness, stock for depth of flavour and general soupiness; add dairy richness if desired. 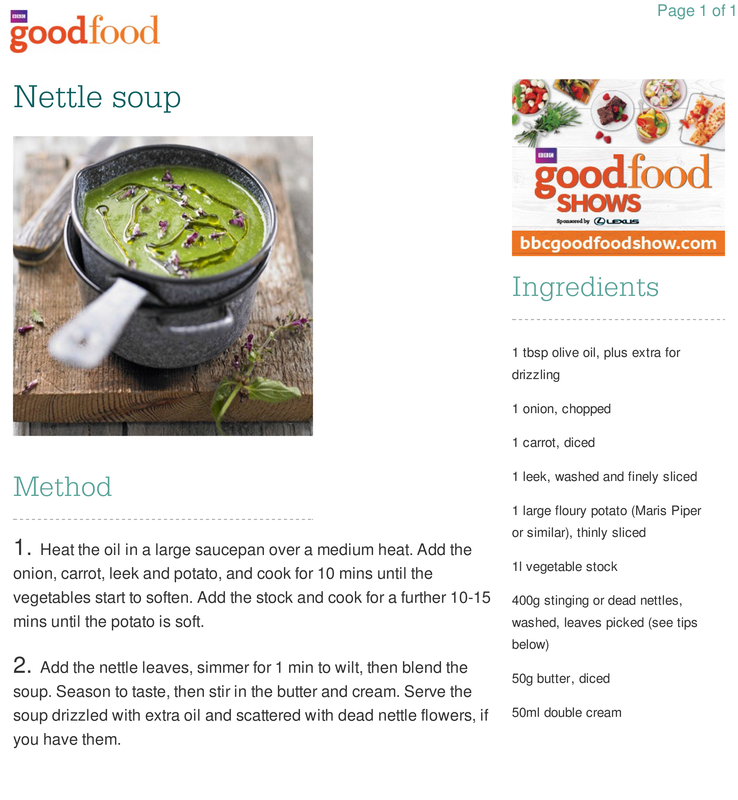 Hugh has a more considered recipe here, along with other nettle recipes for you to try. I used Hugh’s recipe, more or less, taking the very topmost leaves from my slightly-budding nettles. Any fatter buds were discarded but the really small ones went in. As is my wont, I weighed nothing. My soups are always approximated. The final result was fine, with nothing much to distinguish it from my usual “green soup” of Spinach, Watercress or Rocket. The Nettles cooked quickly and were tender, blending nicely at the end with nothing coarse or stringy in the way. The green colour was maintained – I took care not to overcook. I would be happy to make soup with nettles of this age again, though next year I will be trying it earlier in the season before the buds appear – just to see if the results are any better.